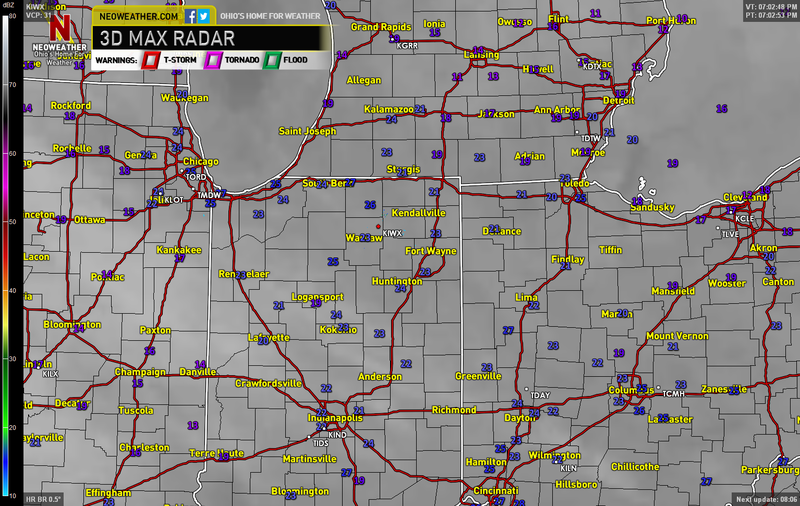 Regional radar this Sunday evening painting a quiet picture across Northwest Ohio. The rest of this Sunday night should remain mainly precipitation free. Some high cloud cover is starting to move in this evening across Northwest Ohio. Temperatures will be remaining in the upper teens to the lower 20s tonight. 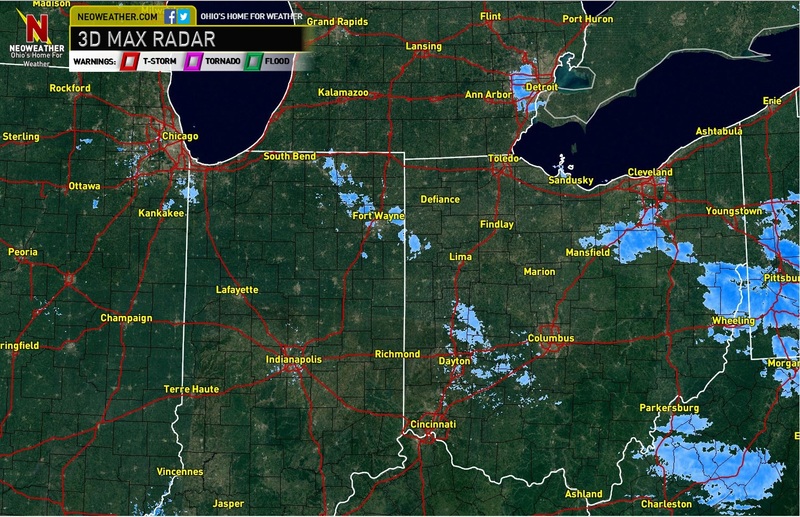 We will be seeing the chances for snow showers to be moving across Northern Ohio come later tomorrow afternoon. The snow will be lasting through the evening hours. The snow should remain light to occasionally moderate. 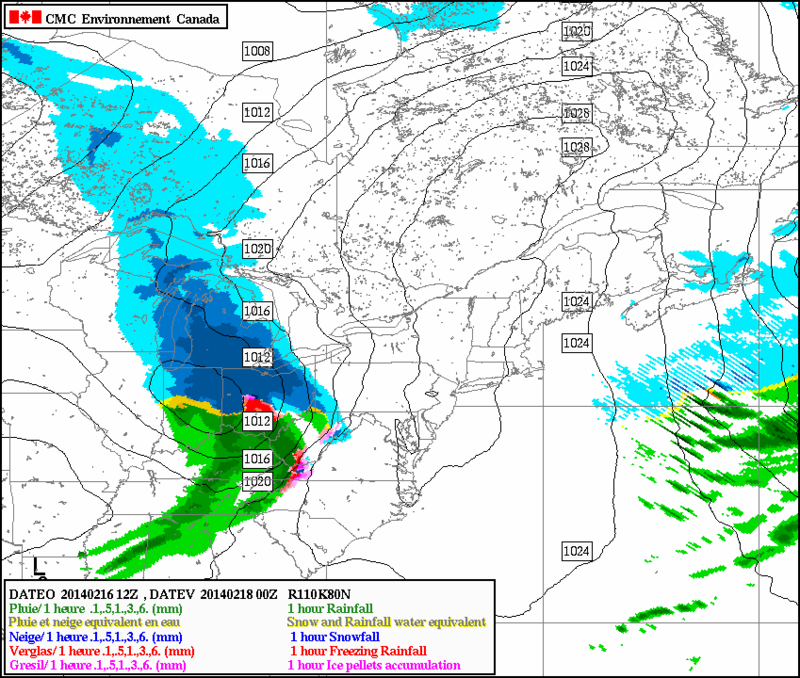 However, there could be an isolated burst of heavy snow. By the time this Alberta Clipper exits Northwest Ohio late tomorrow night, snowfall amounts on average should range from two to five inches. There could be a brief period of sleet/freezing rain as well. Be sure to take extra care on the roads as you go out and about tomorrow afternoon and tomorrow night. Posted on February 16, 2014, in Ohio, Weather Recap, Weather Update and tagged Ohio, Weather Recap, Weather Update. Bookmark the permalink. Leave a comment.